The darkest days of winter always slow me down. Back in December, when the light was the shortest and dimmest, I hit my annual low point. It happens to a lot of people in the season of sunshine deprivation. It’s not like I was depressed, but I was just lacking that pizazz and energy I’m used to enjoying. There comes a point, sometimes in mid to late January, when the first hope of light returns. The days are getting longer, and the sunshine begins to work into your brain, It starts to erase the seasonal blahs. Usually, one particularly sunny day breaks the logjam. That happened to me in the White Mountains of New Hampshire Saturday. My friend Ellen and I went snowshoeing on a crystal clear day. There was no wind, the sunshine actually felt warm on our faces. 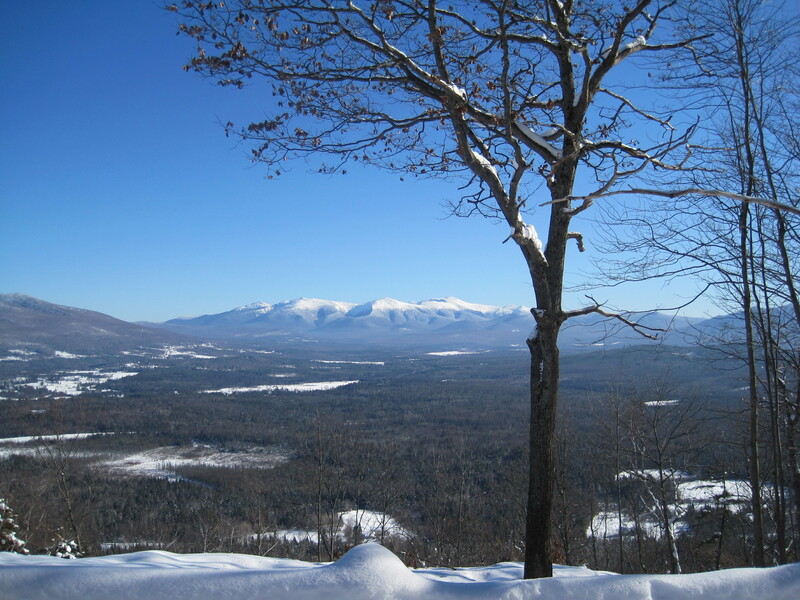 The snow, the mountains and the crisp air were bracing. I took the bright pictures for this post during our excursion. 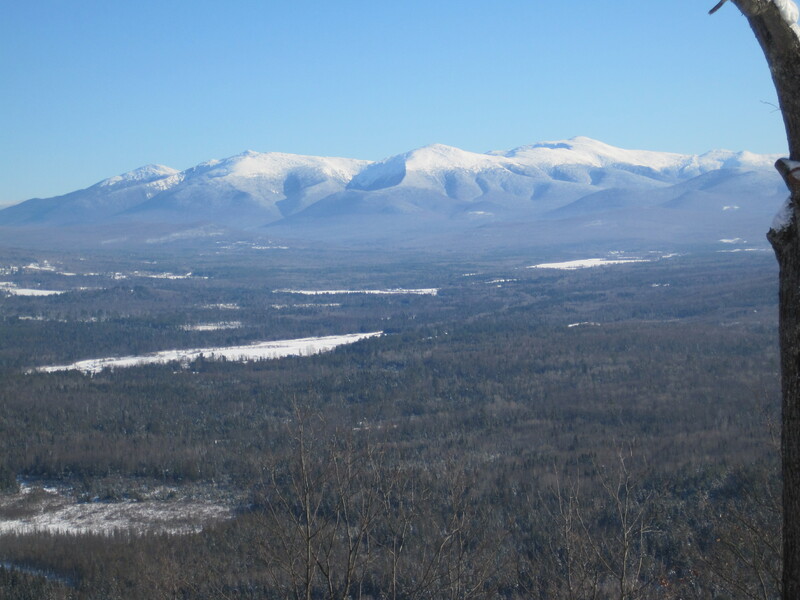 Both photos show views of Mount Washington from Weeks State Park. It helped that I was with Ellen, too. She’s an old, great friend; we’ve known each other for close to 3o years. It’s easy to talk with her, and she’s always interesting. Our conversations veer effortlessly from the superficial, to deep, back to light. The nice flow of the conversation was as good for my frame of mind as the sunshine was. The long, slow climb toward spring has started, even if we have a helluva a lot more winter to trudge through. But with sunshine and friends, we’ll get through the harsh days of February. This entry was posted on January 25, 2010 at 10:40 am and is filed under Uncategorized. You can follow any responses to this entry through the RSS 2.0 feed. You can leave a response, or trackback from your own site. there’s nothing better than spending a wonderful day outside with a close friend.